There's been a lot of moving and shaking in the graphics card arena lately, most of it focused on the high-end. That's okay if you're on a tighter budget, as new additions and price cuts are having an effect on less expensive cards. Case in point, MSI's Radeon RX 480 with 4GB of GDDR5 memory is on sale for $174 at Newegg. There's also a $30 mail-in-rebate available that brings the cost down to $144. 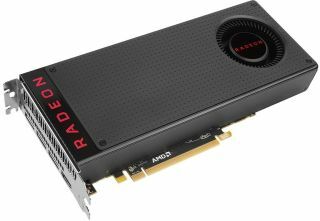 The card that's on sale sticks closely to AMD's reference blueprint. It does not have a custom cooling solution or blinking LEDs, nor is it overclocked, though it does boast "Military Class 4" components, including all solid capacitors. "One of the deciding factors in performance is the quality of the components used. That is why MSI only uses MIL-STD-810G certified components for Radeon RX 480 cards. These components have proven durable enough to withstand the torturous circumstances of extreme gaming and overclocking for extended usage," MSI says. This is the 4GB model with a 256-bit memory interface and 224GB/s of memory bandwdith. It also has 2,304 stream processors, a 1,120MHz base clockspeed, 1,266MHz boost clock, and a single 6-pin PCIe connector. Connectivity consists of HDMI 2.0b and three DisplayPort 1.4 ports. You can grab the card on sale here. Note that it also comes with a free copy of Doom.